Showing 1 - 20 of 224 results. A photograph captioned by Paul Corliss, "Montreal Street and Victoria Street demolition". 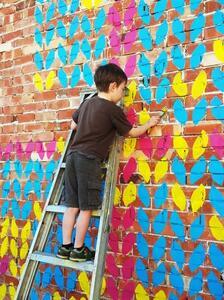 A poem written on Gap Filler and Poetica's "Instant Poetry" wall on Colombo Street. 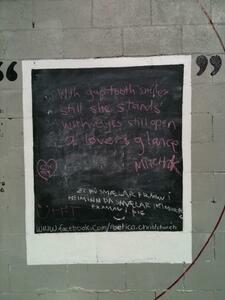 The poem reads, "With gap-tooth smiles, still she stands, with eyes still open, a lovers glance. Michelle". 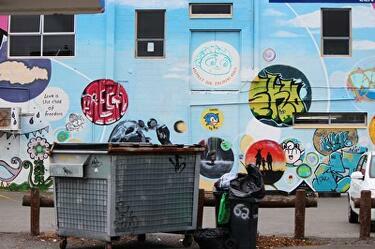 A photograph of a section of a mural on one side of the Shoreline Fitness Centre on Hawke Street. This section of the mural contains bubbles with artworks painted inside. 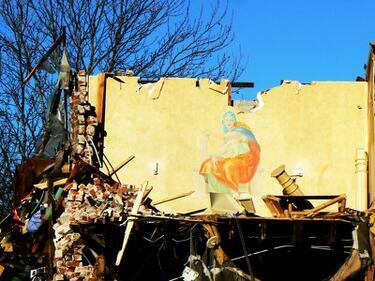 A photograph of an art work showing on the exposed internal wall of a partially-demolished building on Peterborough Street and Victoria Street. The artwork depicts a seated woman. A photograph of street art on the wall of a building in Brighton Mall. 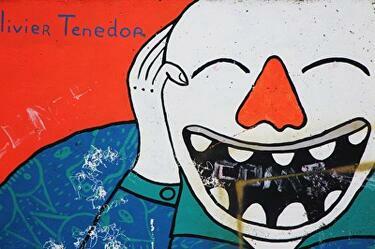 The artwork is signed by French street artist Olivier Tenedor. A photograph of a detail of a mural by Tess Sheerin. A photograph captioned by Paul Corliss, "Colombo Street, Sydenham. 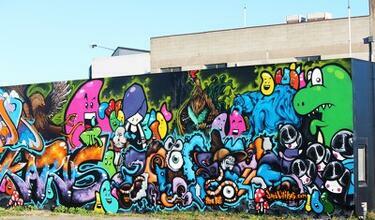 Graffiti art". 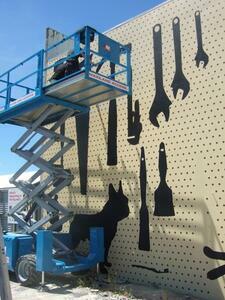 Wayne Youle on a cherry picker, painting his mural, 'I Seem to Have Temporarily Misplaced My Sense of Humour'. A photograph captioned by Paul Corliss, "Off New Brighton Mall". 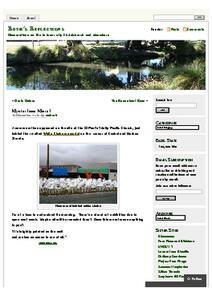 A PDF copy of pages 110-111 of the book Christchurch: The Transitional City Pt IV. 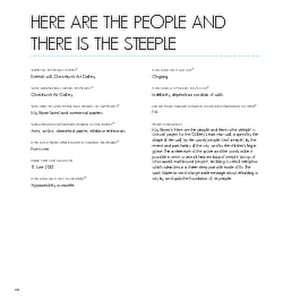 The pages document the transitional project 'Here are the People and There is the Steeple'. 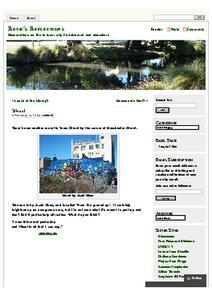 A PDF copy of pages 118-119 of the book Christchurch: The Transitional City Pt IV. 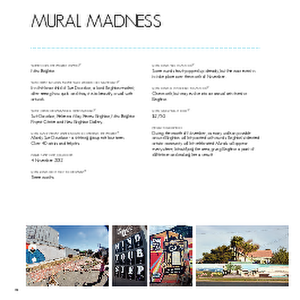 The pages document the transitional project 'Mural Madness'. 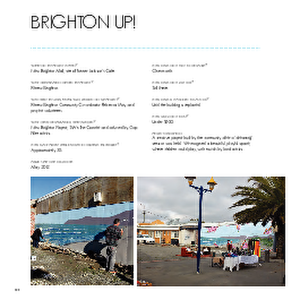 Christchurch: The Transitional City Pt IV, pages 120-121: Brighton Up! 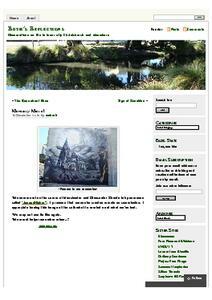 A PDF copy of pages 120-121 of the book Christchurch: The Transitional City Pt IV. 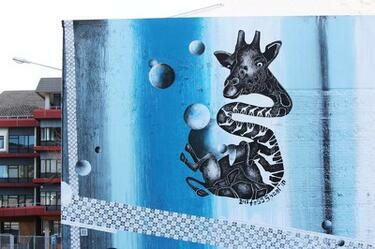 The pages document the transitional project 'Brighton Up!'. 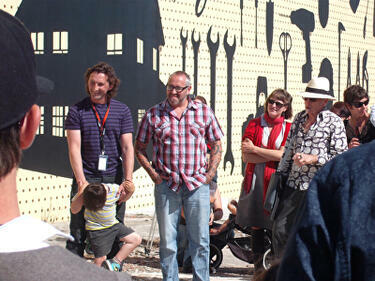 A photograph taken at the launch event for Wayne Youle's mural, 'I seem to have temporarily misplaced my sense of humour'. 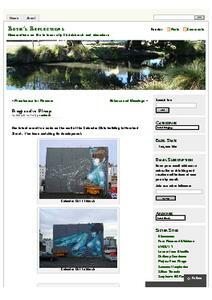 A PDF copy of pages 116-117 of the book Christchurch: The Transitional City Pt IV. 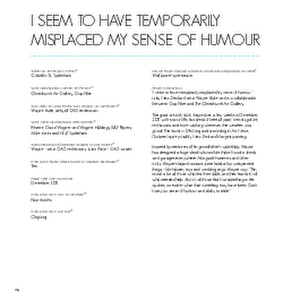 The pages document the transitional project 'I Seem to Have Temporarily Misplaced My Sense of Humour'. 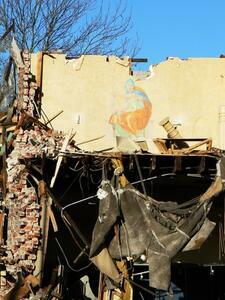 An entry from Ruth Gardner's Blog for 20 March 2014 entitled, "Progressive Pinup". An entry from Ruth Gardner's Blog for 16 December 2013 entitled, "Memory Mural". 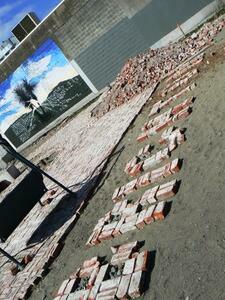 Ruth Gardner's Blog 05/02/2014: Yikes! An entry from Ruth Gardner's Blog for 05 February 2014 entitled, "Yikes! ".